More than just white chalk! While we call this White Chalk, it is more than just a stick of white chalk. By ordering this great teaching tool, you will have 12 different colored pieces of chalk to use for getting your academic points across. You can draw a blue sky or use a bright red piece of chalk to drive home the main theme of a lesson. 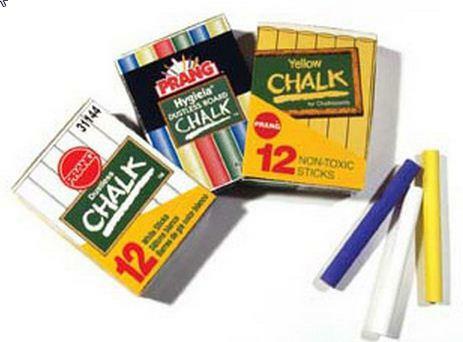 The White Chalk do not make the same irritating screeching sound that many other pieces of chalk make on chalkboards. You can expect durable chalk that do not crumble or break at the slightest impact. Our chalk are good down to the point where you can no longer grab the chalk with your fingers. Assorted colored chalk work best on lighter green chalkboards, which do a better job of presenting the darker chalk colors. Use multiple colors at once to create a colorful chalkboard montage!